These gorgeous 2D platformers will fill the void Ori left in your heart... almost! A story about hope, love and sacrifice, Ori and the Blind Forest is a stunning 2D platformer most loved for its fun and addictive gameplay, enchanting hand-painted art style, and amazingly detailed characters set amidst an emotionally-charged narrative. Indeed, the game has set such high 2D platformer standards that many players who finished the game find themselves aching for more similar games. Well, have no fear! Here are 12 gorgeous 2D platformer games like Ori and the Blind Forest that’ll fill the void that Ori’s adventures left in your aching heart. Each title must be a 2D platformer. 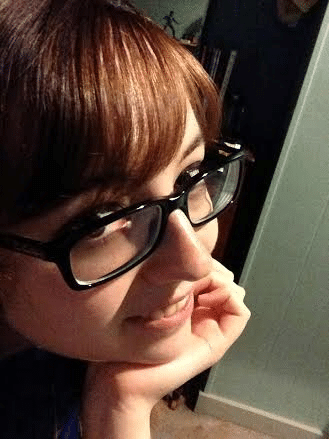 Recommended games must feature what many consider to be gorgeous and/or original art styles. Titles must at least feature a basic narrative structure (abstract or explicit); an unfolding story must be told through the gameplay. Note: This post contains Amazon, GOG.com, G2A.com and iTunes affiliate links. Discover the wonders of underwater 2D platforming in Aquaria. Players take control of Naija, a humanoid sea creature, searching for the truth about her past. She travels across a gorgeous underwater world filled with ancient secrets and treasures. Each area is brimming with a huge verity of unique marine life. As Naija travels across fallen cities, reed forests, and dark caves she’ll be solving puzzles and battling massive beats with her magic singing powers. 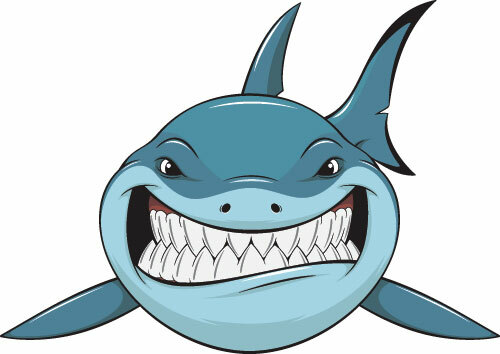 Her abilities range from being able to squeeze into tight spaces to shooting fire balls (an amazing feat underwater). Definitely a title to try out if you’re looking for gorgeous 2D platformer games like Ori and the Blind Forest! Take your 2D platforming into deep space with The Swapper. Players control a female explorer who’s alone on an abandoned research station called Theseus. In order to escape she needs to find orbs scattered across the station which will allow her to access teleporters. She finds a device that enables her to create clones of herself that mimic her movements. Players must use this device to solve ingenious puzzles and navigate the environment. The Swapper is truly an unforgettable 2D experience in a fully realized sci-fi world. Limbo is considered a 2D platforming masterpiece for good reason. The game begins with a young boy who wakes up alone in a creepy forest. He goes off in search of his lost sister in a shadowy and sinister world. The boy must overcome endless dangers, traps, and puzzles if he wants to avoid certain death. If he dies, players will be forced to see him get chopped up, drowned, and eaten alive among many other horrible fates. Limbo‘s gorgeous graphic style and compelling boy-against-an-evil-world story makes this one of few 2D platforming games similar to Ori and the Blind Forest. UPDATE: Be sure to check out INSIDE, a fantastic follow-up game from the same developer. 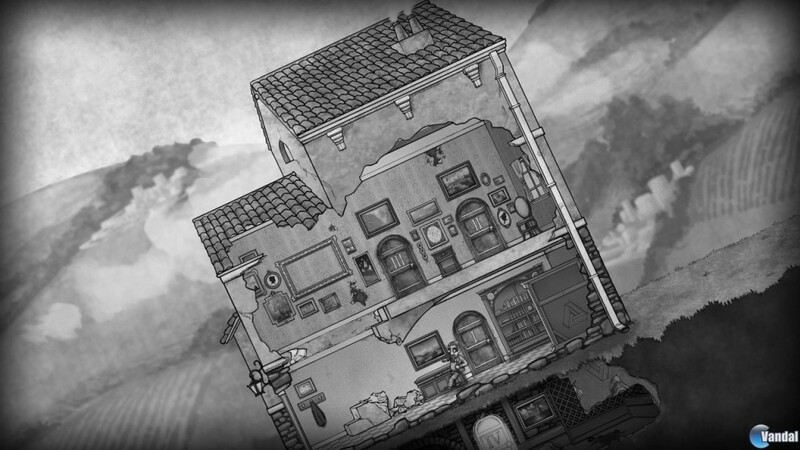 Discover the beauty of a steampunk inspired Europe with Teslagrad. This game is about a young boy who gets tangled in a conspiracy involving an iron-fist ruling tyrant. As evil men try to capture this boy, he flees to Tesla Tower. Within this tower he finds ancient Teslamancer technology that allow him to manipulate the environment and solve complex puzzles with magnetism and electricity. The boy soon finds an array of fascinating gadgets: a glove that allows him to infuse objects with electricity, a trinket that lets him dart a few feet in the air, and other amazing devices. Child of Light follows Aurora, a sickly young girl who fell into a coma. When she awakens she finds herself in the fairytale world of Lemuira. To find her way back home, Aurora needs to fight creatures controlled by the Queen of the Night. This high quality 2D platforming game will have players exploring floating cities, towering forests, peaceful villages, and ancient ruins. In addition, this game features a RPG system that has a mix of turn-based and real-time mechanics. 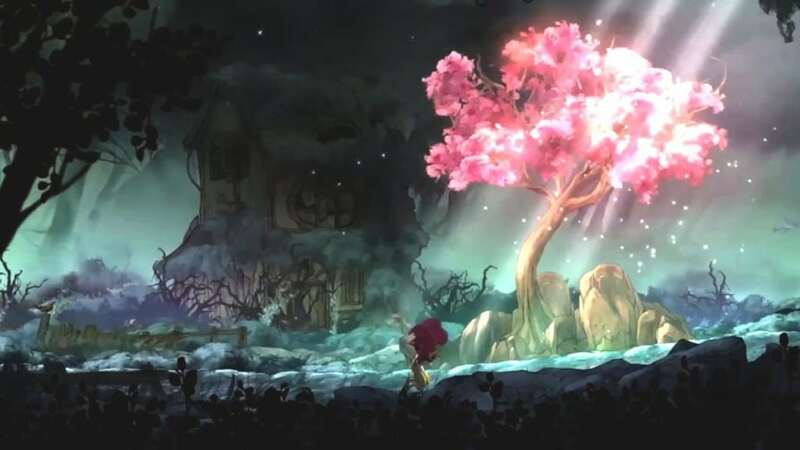 Players looking for more games like Ori and the Blind Forest will be instantly captivated by Child of Light‘s absolutely stunning art style and beautiful story. Change your perspective on 2D games with Fez. This game follows the very cute Gomez, a 2D creature living in his 2D world. Life as he knows it changes forever once he acquires a special Fez hat that enables him to discover the third dimension. Players can navigate the game’s beautiful, open world from four different 2D perspectives. As Gomez explores this strange new multidimensional universe he needs to find cubes and their fragments in order to bring balance back to the universe. Don’t be fooled by the game’s adorable art style, it’s actually very hard and will not hold your hand. Unite with friends to become the ultimate platforming and puzzle solving crew in Trine Enchanted Edition. 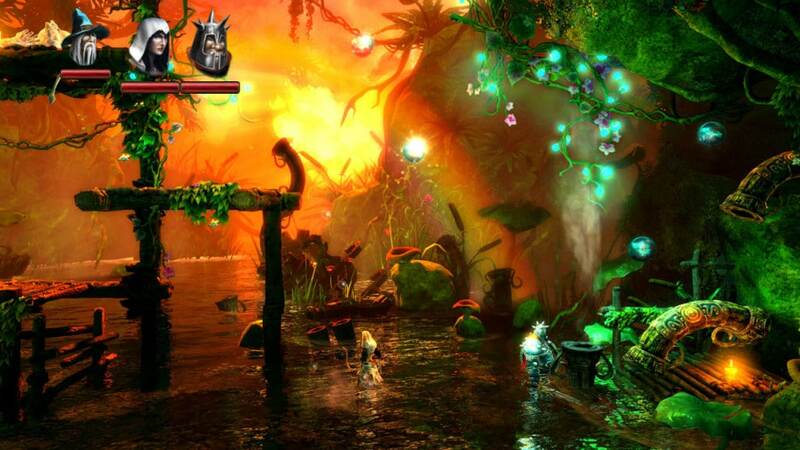 This game follows three heroes who find themselves bound to a device called the Trine. Together they must combine their skills in order to save their kingdom from great evil. Each character has unique abilities and the player can swap between them to deal with various challenges. The Wizard can summon objects and levitate them while the powerful knight can destroy objects and baddies. The agile Thief can target enemies from a distance and maneuver around with her grappling hook. Gamers looking for gorgeously atmospheric games like Ori and the Blind Forest with an added multiplayer slant will adore this gem of a title! In Toby: The Secret Mine, a once peaceful village is thrown into chaos when someone mysteriously kidnaps most of its citizens. Young Toby decides to take matters into his own hands and goes to find his friends. Gamers will immediately notice how the game takes heavy inspiration from Limbo in art style and gameplay. 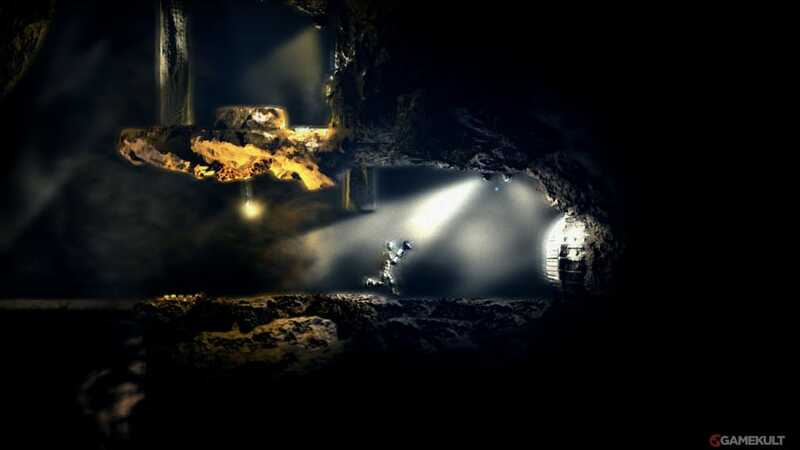 Players will explore a dark, creepy world teeming with danger and puzzles. A simple misstep will have Toby falling into a fatal trap. Toby doesn’t deserve such a cruel fate – and it is your mission to help him! Manipulate your mind and conquer your emotions with In Between. This game follows a young man who is diagnosed with terminal lung cancer. The majority of gameplay takes place within his mind as he struggles to accept his mortality. Players will progress through the five stages of grief and explore the protagonist’s memories. Each stage will add uniquely themed challenges, for example, “denial” will have a looming wall of darkness come after the player. The protagonist’s mind is a physics free zone and players will be able to flip gravity at will. Players seeking games like Ori and the Blind Forest will be instantly captivated by the game’s heart-tugging story. 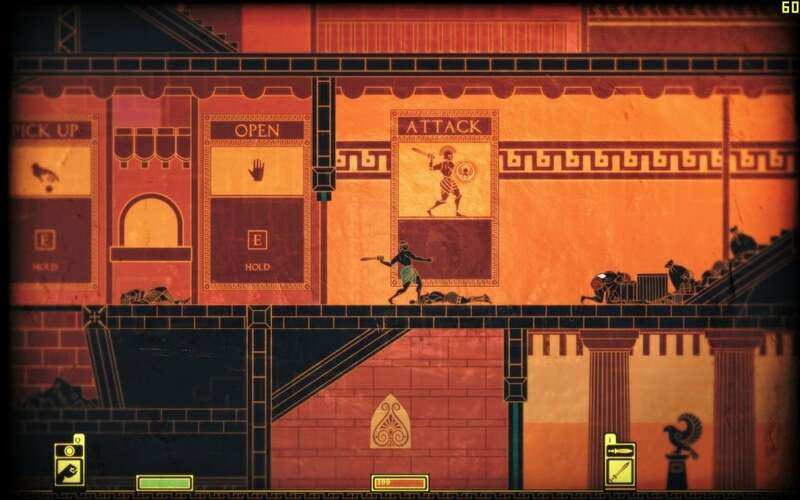 Defy the gods in Apotheon! The Greek gods have abandoned humans, leaving them to suffer without their guidance. The protagonist resolves to turn against these gods and take their powers for himself. Players will explore the massive world of Mount Olympus and fight mythical entities. Gameplay is brutal; players have an array of weapons at their disposal, such as swords and spears, to ensure that these gods don’t stand a chance. Best of all, the game’s intricate art style is historically accurate to the era it attempts to depict. Steal your way to riches in The Swindle. This game takes place in Victorian Steampunk London and has amazingly quirky visuals. A group of thieves are on a 100 day mission to thwart the government’s all-seeing surveillance device known as “The Devil’s Basilisk.” In order to succeed this group is going to need serious skills and cash. Players will need to break into buildings, hack their systems, steal their money, and make a break before the cops show up. You’ll start in the slums and work your way up into richer homes. As you gather money you can buy upgrades, such as faster hacking, more powerful bombs, and the ability to take on increasingly dangerous jobs. Just make sure you avoid those robo cops! Different in art style, but still one of the best games like Ori and The Blind Forest in terms of high-quality 2D platforming and incredible world-design. Challenge your understanding of perspective and physics with The Bridge. This logic puzzle game is styled like an M.C. Escher piece. Players will face surreal puzzles based on impossible geometry. These mind-bending puzzles can be solved by manipulating the game’s gravity and changing perspectives. Each puzzle is unique and requires the player to keep their minds open to creative solutions. Just don’t stare too hard, you might get dizzy. Did I miss out any games like Ori and the Blind Forest? Feel free to list your suggestions below! Most definitely! Child of Light is pretty good too though! Marks of the Ninja is pretty cool.